Headquartered in Schofield, WI, Powder Technology, Inc. serves customers across the globe. PTI represents the absolute pinnacle of high quality, high performance thermoset powder coatings. Our company specializes in collaborating with OEMs, from the seed of an idea to the implementation of the final products. When consistency in color and robust performance is important to protect your brand, look no further than PTI. Whether you’re an OEM or a fab / finisher, our premium products will not only protect what you create, but we’ll also help it thrive in the world. We bring extensive experience and professionalism to every customer and can customize our products and support to your individual needs and concerns. Get in touch with us to set up a consultation, or use the contact form at the bottom of this page to inquire whether our products and services are right for you. The world of powder coating is ever growing and evolving, and so are our coatings. With the consistent introduction of new additives and formulations, the opportunity for innovation grows, but so does the complexity. That’s where we come in. Click here to find out more about our growing line of Super Durable Polyester coatings, available in both TGIC and TGIC-free chemistry. Powder Technology, Inc. is proud to announce that we have expanded our product offering to include over 135 RAL powder coatings. Every coating in our RAL product line is UL Listed*, High Gloss, and Super Durable, well surpassing the AAMA 2603 Standards. Furthermore, our entire RAL line was designed to cure at 350°F, saving you money on energy costs. *If UL Listing is required, PTI must be notified upon receipt of the order to ensure proper documentation and packing, at no additional cost to the customer. Interested in saving both time and money? Check out PTI's 1Pass, our 3rd Generation Dust on Dust coating system. 1Pass allows powder applicators to prime and top coat parts before a single pass through the oven. This process works for both batch systems and auto-lines. Click the picture for more information. Whether you're new to powder, or upgrading your current line, PTI can help. Implementing a new system requires finesse and strategic structuring; our deep relationships with hardware and pretreatment vendors allow us to work hand in hand with your partners to ensure your system has a successful launch. Ask how we can help you codify your paint standards according to best in practice industry standards from day one. PTI has matched thousands of different coatings, and has a comprehensive line of stock products in various chemistries. Ask for some of our metal panel decks so you can see first hand what we offer. But, what if you need something matched? This is where we shine. PTI offers some of the quickest turn around times in the industry. Tell us what you need, and we'll design a custom coating for your next project. PTI offers a full line of powder coatings in all manner of chemistry. From our extremely smooth, high flow, exterior durable Urethanes (pictured) to our robust Epoxies and chemically resistant Hybrids. 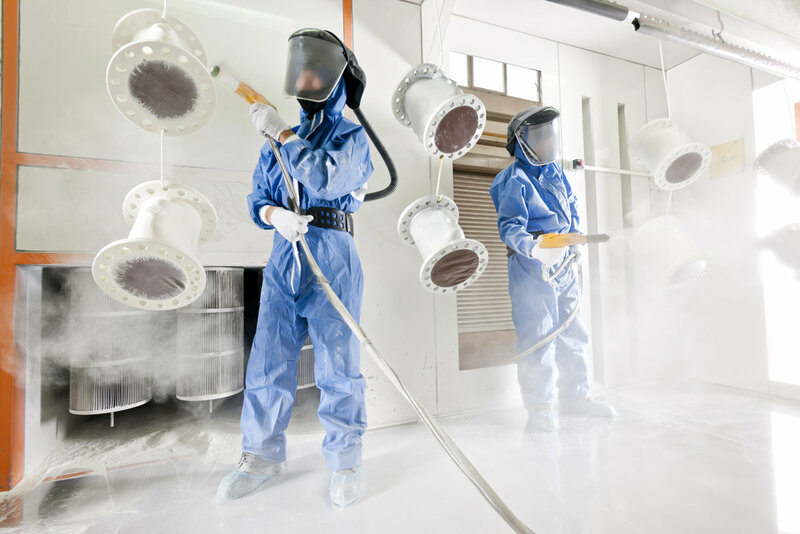 The demands of your customers are constantly in flux, so your coatings producer must adapt quickly. PTI strives to anticipate these changes so you can focus more on creating value. PTI is one of the few powder coatings manufacturers certified to produce and sell CARC coatings for U.S. Military applications. 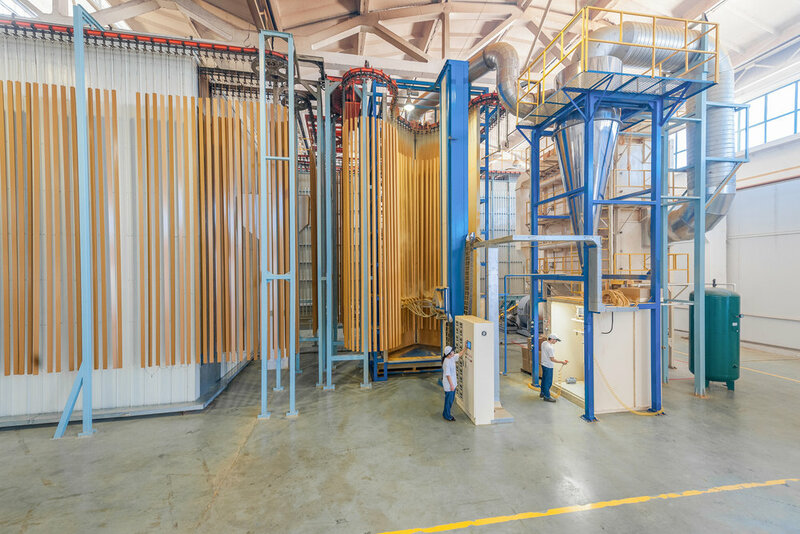 The use of powder coatings for CARC is still a new and fierce frontier that requires a deep understanding from a technical team who are deeply entrenched in the particularities of the Army Research Laboratory's specifications. 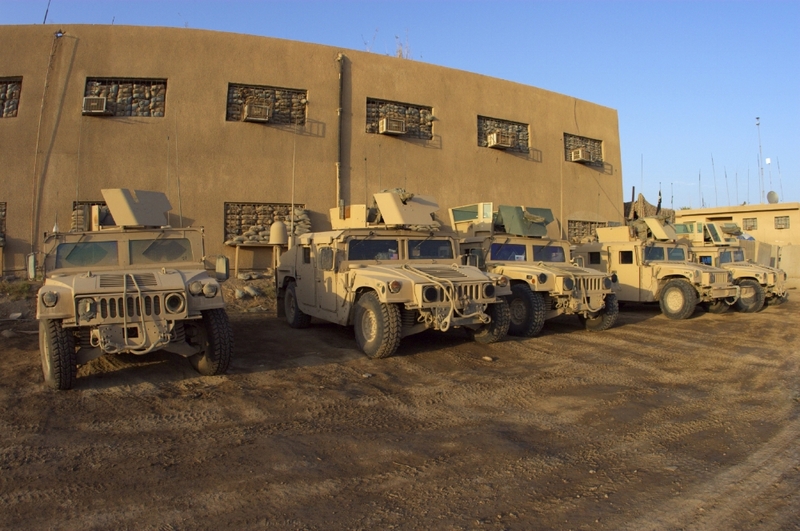 Click here to find out more about our work with the US military and our current coatings approvals on the U.S. Military's Qualified Product List. Whether you are coating electrical enclosures or fire extinguishers, PTI has a UL listed product that's right for you. Available in several different systems. Click here for our approved UL listings. PTI also offers a full range of High Dielectric Strength coatings, for use on any parts that require a high degree of electrical insulation. As a PTI customer, you'll have a comprehensive testing facility at your disposal. We are proud to offer a full suite of testing procedures including, but not limited to: South Florida Exposure, QUV Exposure, Xenon Arc Exposure, Salt Fog Exposure, Cyclical Corrosion Exposure, Color Testing, Adhesion Testing, Chip Resistance, DSC, Pycnometry, EDX, SEM and Microscopy. Click the picture above for a full listing. Few things communicate your brand identity more than color. To execute well at the OEM level, color stability is of paramount importance, especially to protect your intellectual property, copyrights, trademarks, and patents. How do you make sure your Galactic Blue stays Galactic Blue throughout multiple facilities across the globe? Ask how PTI can help implement and administer a Color Standard Program for your company, so you can control your colors to precise Delta E standards. After all, if there's a single word that could best describe PTI's products, its Consistency. We can help you bridge the gap between engineering and marketing, by carefully cultivating and curating your colors. Behind every great exterior top coat, is a great primer. PTI's heavy duty ATP (Advanced Technical Primers) are some of the most resilient and durable primers available in the marketplace. Our incredibly tough Zinc-free primers offer anti-chip technology that make them an ideal choice for the ACE industries and are rated at over 5,000 hours on scribed panels in salt spray. Qualifications for weatherable products are a little bit like the Wild West. There are a lot of products that claim to be up to the challenge, but the specifications can seem convoluted and vague at best. When protecting your brand or even a single design from the harsh effects of outdoor exposure is important, demand only the best. Inquire about PTI's Pentabond© and Decabond© product lines that meet rigorous AAMA 2604 and 2605 requirements. Photo courtesy of Landscape Structures, Delano, MN. This is the exciting stuff. We're talking High-Tech, High-Value powders. 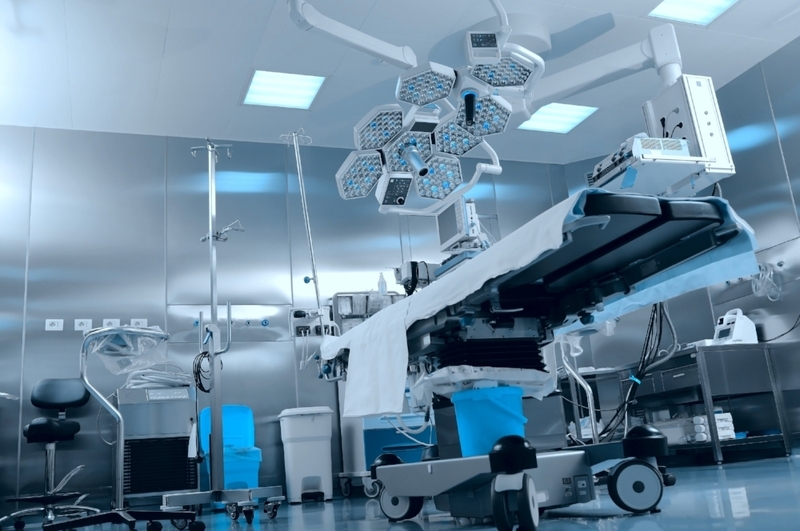 Our Advanced Coating Solutions include products such as: Anti-Microbial, Anti-Graffiti, Concrete Release, Anti-Mar, Hi / Low slip resistance, FDA approved, and laser cut edge encapsulating coatings, among others. 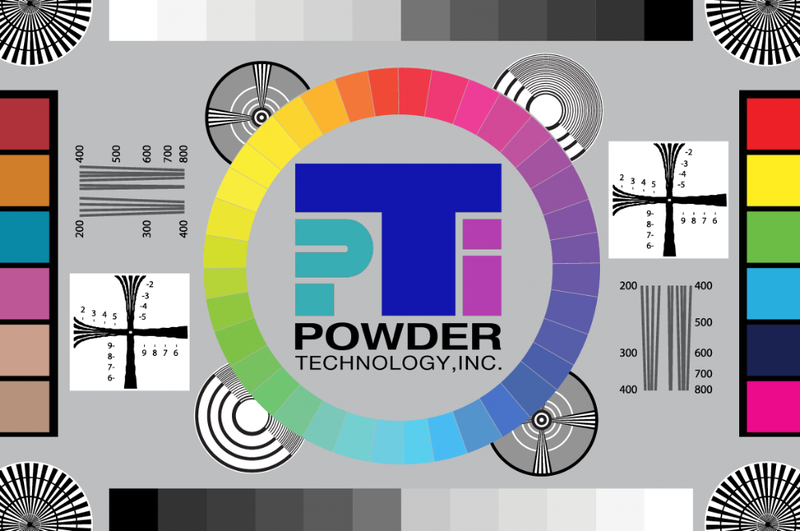 Find out how PTI puts the Technology into powder. PTI makes its process engineers available to current and prospective customers for comprehensive line audits. Our highly qualified engineers are able to troubleshoot current issues as well as identity future problem areas. We'll work with you to streamline your operations to maximize throughput and minimize paint defects. We'll look things such as part shape, racking, line density and speed, gun set ups, oven calibration, and more. Call or email to find out more. PTI has offered Toll manufacturing services for many years, and we have produced powder coatings for some of the biggest names in the industry. Using our comprehensive controls tight manufacturing tolerances assures batch to batch conformance with your customer's specifications. A state of the art facility, flexible scheduling, and personal commitment give us a unique ability to consistently produce the highest quality coatings. Use the form below to contact us regarding your powder coating inquiry. Please be as detailed as possible. Include your company along with any specific questions or requests. To help us best service your inquiry, we recommend that you describe the issue you’re having in addition to telling us what you want to achieve. You may also email or call us if you require assistance. Please provide a brief description of how we can be of assistance.